The movie starts with four friends known as the Z-Team, Shaolin-forged martial artists who have just won the top award at a Film Festival. Fabien, Lohan, Didier and Jess immediately set their sights for Hollywood, but from within the shadows emerges a new challenge: the four find themselves in front of the seemingly inescapable eye of a mysterious director who forces them to “act” in his own brutal reality film, with the lives of their loved ones at stake. Their every move watched through hidden cameras like mice in a maze, the Z-Team are forced to run a gamut through the seedy underbelly of LA – from robbing an armored truck, encountering a rug Lord, breaking an entire dojo of BLACKBELTS, evading a SWAT team, surviving a blazing gunfight…and it’s all a part of the Director’s script. A dark filmmaker’s game culminating into a shocking ending which reveals just how high the price of success is. MOVIE REVIEW: FABIEN GARCIA'S "DIE FIGHTING"
As producer and lead actor Laurent Buson noted, “A lot of the punches and kicks have to be real in order to be believable” to the audience. And no doubles were used; the actors are the fighters. 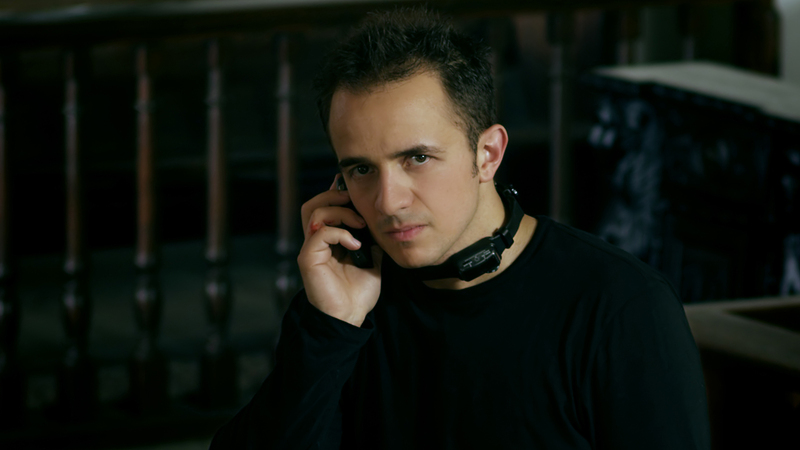 With “Die Fighting,” as with Z Team’s many short films, the battles play out with hardly any obtrusive camera tricks. 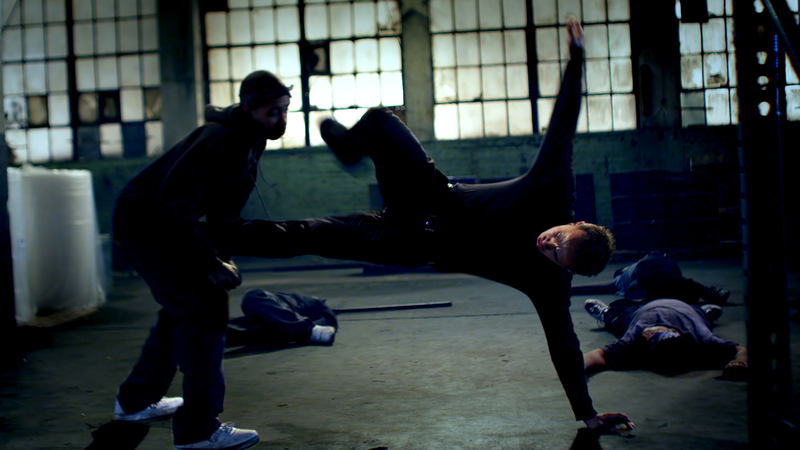 The Z Team ethic mandates that the full range of martial art techniques be filmed without the choppy editing utilized in so many other action movies. During the epic showdown between best friends turned savage by the manipulations of the Director, Laurent insisted that Fabien kick him particularly hard for a realistic effect. The result was Laurent having to fight with a broken rib for 9 of the 10 days in the warehouse finale. Yet and still, director Fabien was meticulous about getting enough footage to pull the best takes from his actors/fighters. Similarly in post-production, Fabien was a painstaking editor who took a year and a half to cut together the rough assembly. That’s the true meaning of “kung fu”—working skillfully toward a particular endeavor. “Die Fighting” opens July 15 in cinemas nationwide from Crystalsky Multimedia.